©2012, R.L. Delight. Wave Study, Neahkahnie Beach, 6"x8", oil on canvas board. 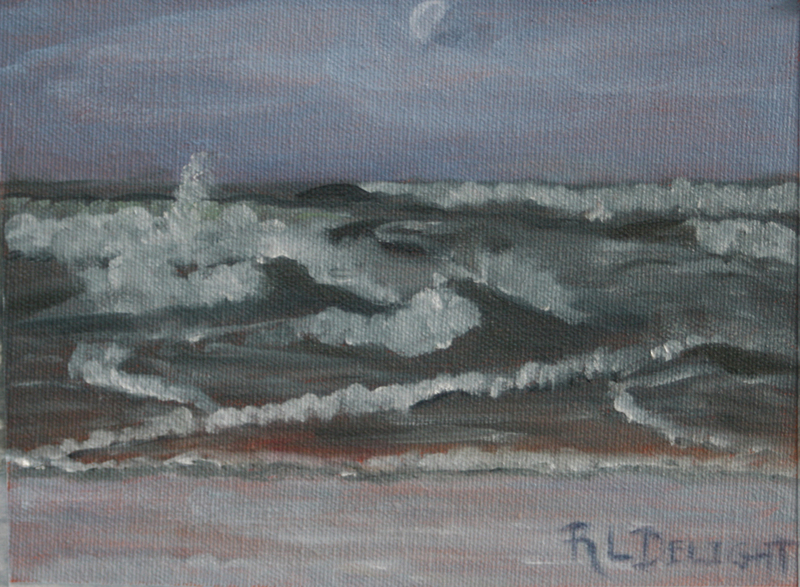 I had a lovely time painting this wave study on Monday. The day was beautiful and warmer than I thought it would be. Surprisingly for such a calm day the waves were large and glorious. I decided to paint them and to try to capture the wave action that happens in this particular spot. Neahkahnie Mountain juts out into the sea which not only influences our weather here in our little town but causes some of the waves to bounce off and travel sideways or perpendicular to the shore. These waves meet the incoming waves and cause quite a spectacular crash and geysering of the water. Now a wave study is just that. I tried to capture the action, shape, tone and color of the waves. The composition of the painting was a distant consideration. The moon hanging above the sea that morning was a wonderful bonus! In the studio, I have set up a still life that is somewhat related to the sea. I have always loved rocks and driftwood as well as found objects washed ashore. I have decided to paint these things for a while and see where they take me. I am not neglecting my drawing either! I will be spending a portion of the day working on either drawing the few plaster casts I have or a self portrait study. I also intend to lure my rather handsome husband back up into the studio to sit for me. I am very excited this morning. I was dancing through my Facebook newsfeed, posting a "like" here and a comment there when I came across a post by one of my favorite artists, Sadie Valeri. She has started a new Facebook group for those who paint and draw only from life rather than photos. She made a mention of the artist Edward Minoff and his techniques for painting seascapes from life. I went straight to Google, found the web site and gasped. 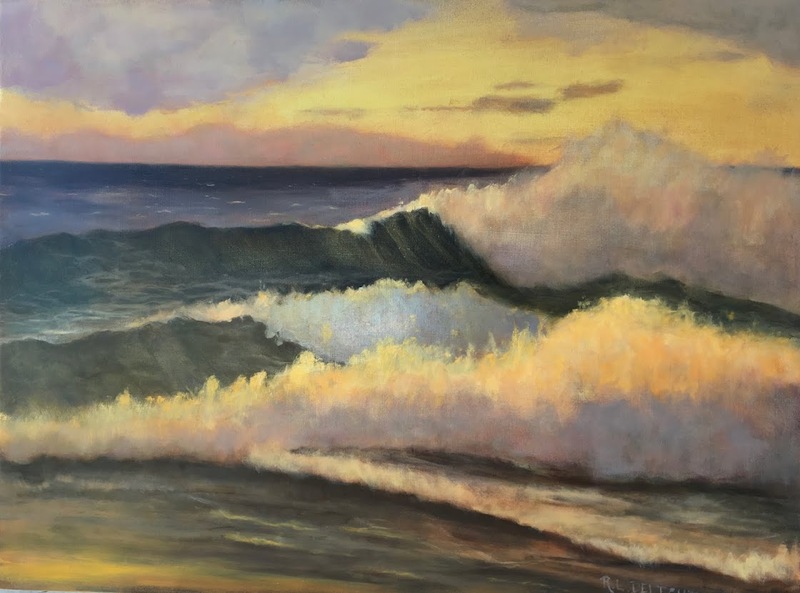 I will let you check it out for yourself by clicking on the above link but I am truly inspired by his process, not to mention his breathtaking seascapes. Sometimes a simple thing as a mention on a Facebook post can completely rock your world. I am given the courage and inspiration to continue on the path that is starting to open before me.